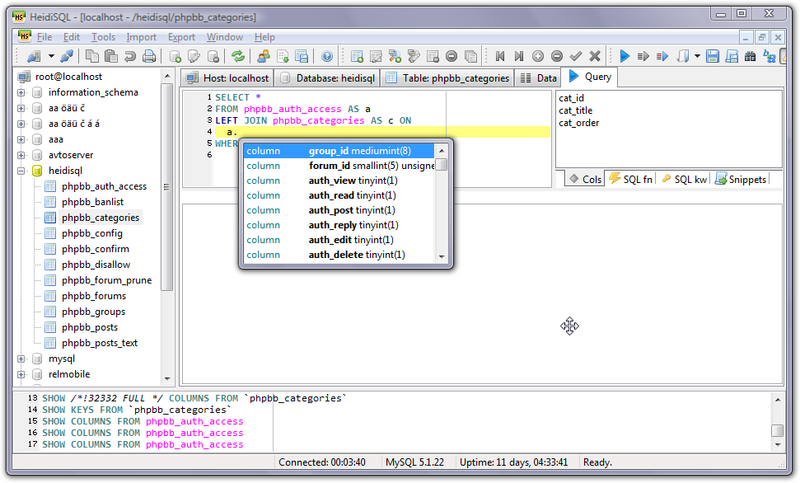 HeidiSQL is an easy-to-use ide for web-developers using the popular MySQL-Database. It allows you to manage and browse your databases and tables from an intuitive Windows® interface. With a download size of less than 2Mb, it is quite lightweight and fast to load. Version 4.0, which will release soon also supports query completion and various grid editors for column data. HeidiSQL is also available for Apple iPhone in the form of a Java port jHeidi. 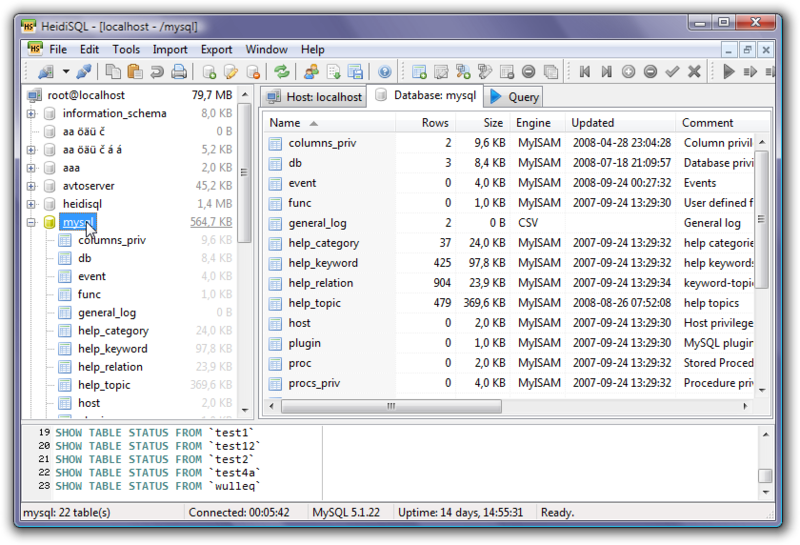 looks pretty nice but i still prefer the mysql GUI tools. I use a free tool Valentina Studio http://www.valentina-db.com/en/valentina-studio-overview at the moment. Does everything you need, and does it very well.